There’s bowling. And then there’s Disney bowling. 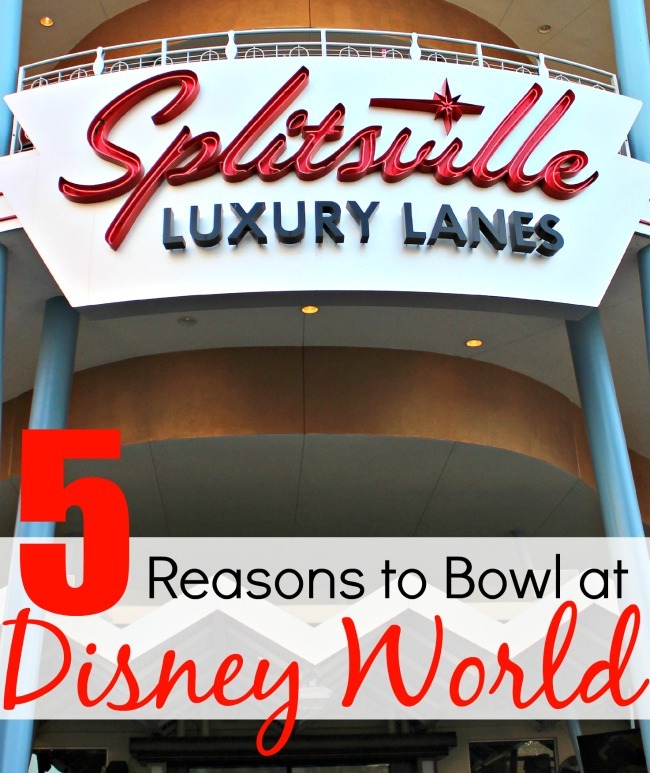 Welcome to Splitsville Orlando, the only bowling lanes on Disney World property. It took almost 3 years since the opening, but I finally got to grace my feet on the inside of one of the hottest places in Downtown Disney. Why does everyone need to bowl at Splitsville Luxury Lanes Orlando? Well, I have 5 very happy reasons to do so. 2 words, Disney. Magic. Or Disney Springs, if you prefer. As if being in Orlando wasn’t enough, Splitsville Orlando made it’s home right in the heart of everything magical and fun! 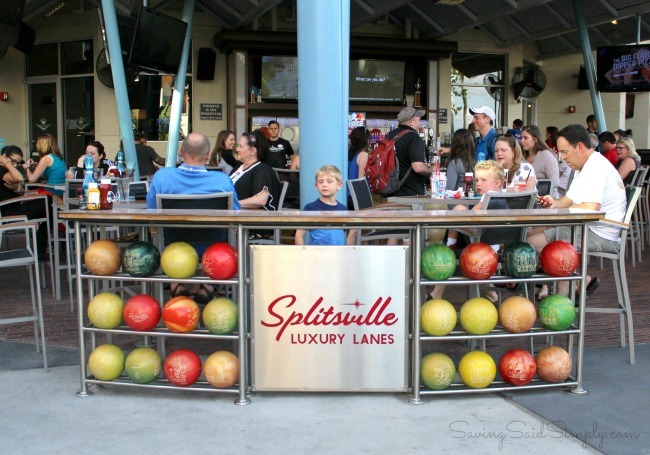 Located in the Westside of Downtown Disney, Splitsville is surrounded by Disney nightlife. La Nouba, House of Blues, AMC Movie Theater and some of the swankiest eateries make great neighbors to the only set of bowling lanes at Walt Disney World. Whether relaxing after a day at the park or enjoying a day at Downtown Disney, Splitsville offers a safe environment for your family too. 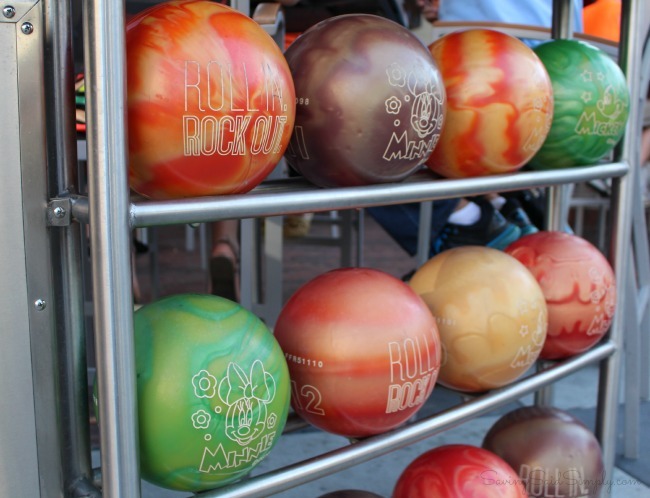 No smoking inside, bowling bumpers and assistance devices, a colorful climate and even friendly Disney faces on the bowling balls greet your little ones for an afternoon of good ole’ fashioned family fun. Kid friendly food menu (with the usual pizza, burgers, chicken tenders, grilled cheese and hot dog) and helpful staff too. Hours open usually around 10-am. 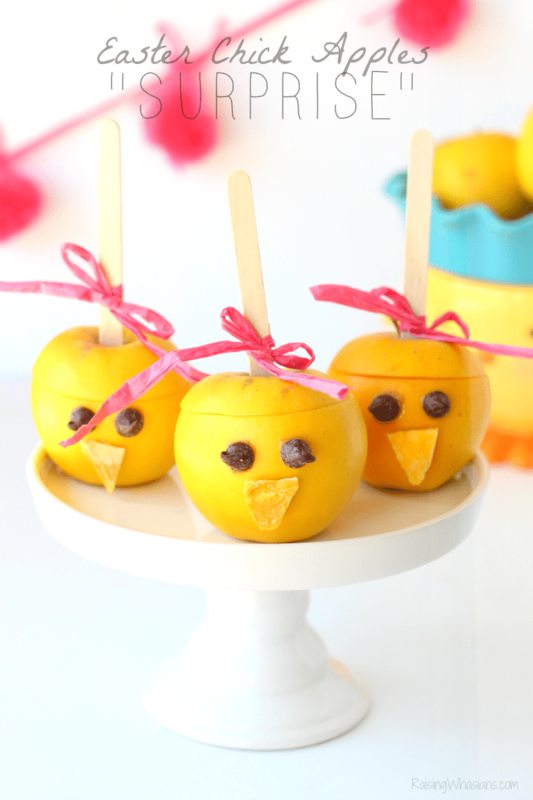 But when the evening hours roll in (like the pun), be prepared for a more “adult” crowd. Late hours. Live music. Indoor and outdoor seating. Full bar, including specialty drinks. This is the luxury life here at Splitsville Orlando. When nighttime arrives at Downtown Disney, you can feel the shift to a swanky space for adults to play. Even advertising the place to come for Bachlorette nights and NFL game days, you can dance, drink and bowl your night away! Dude, you won’t find the usual bowling menu here. Say goodbye to blah and hello to awesome. 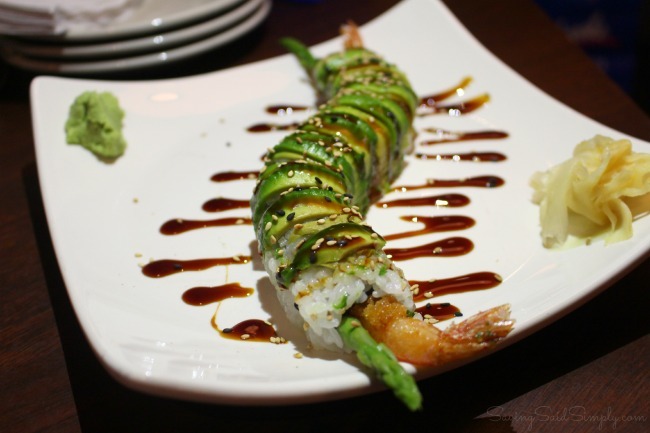 I’m talking delicious sushi and an upscale burger. Spicy Rice Bowls and Ahi Tuna. Splitsville food is ah-mazing and definitely a few hundred notches above your bowling food expectations. And with generally moderate pricing around $11-25 per plate, your wallet doesn’t have to suffer either. Check out the full menu HERE. 5. Because Even Bowling a 39 Here is FUN! Oh yeah, there’s bowling here at Splitsville too. And if bowling with Mickey and Minnie bowling balls aren’t cool enough for you, how about 30 lanes of awesome? 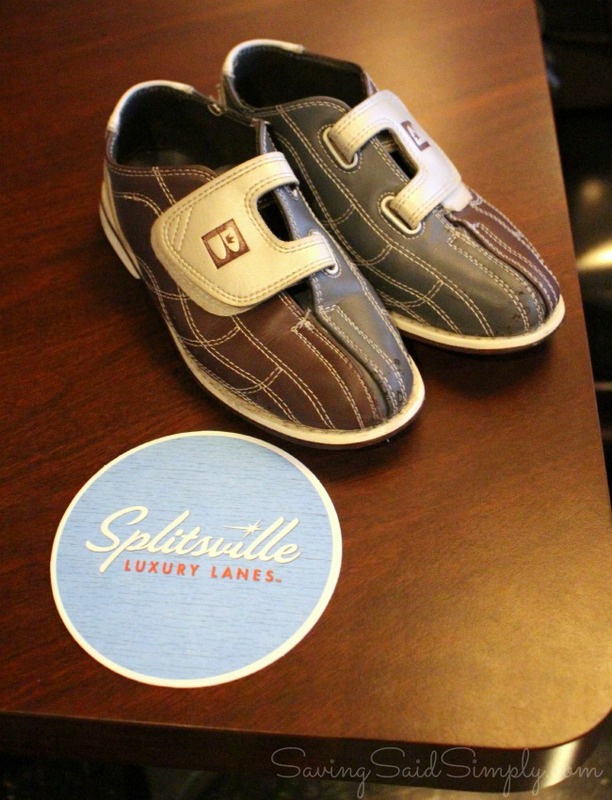 Splitville didn’t skimp on the Luxury Lanes part of their name. We’ve got technologically savvy lanes in the house! Electronic bumpers, interactive screens and a great atmosphere greet the novice bowler (such as myself) and pros alike. Surrounded by big murals of Disney inspiration, the beat of your favorite jam, and surrounded by friends, I easily let that 39 bowling score pass me by. Ready to bowl, Disney style? 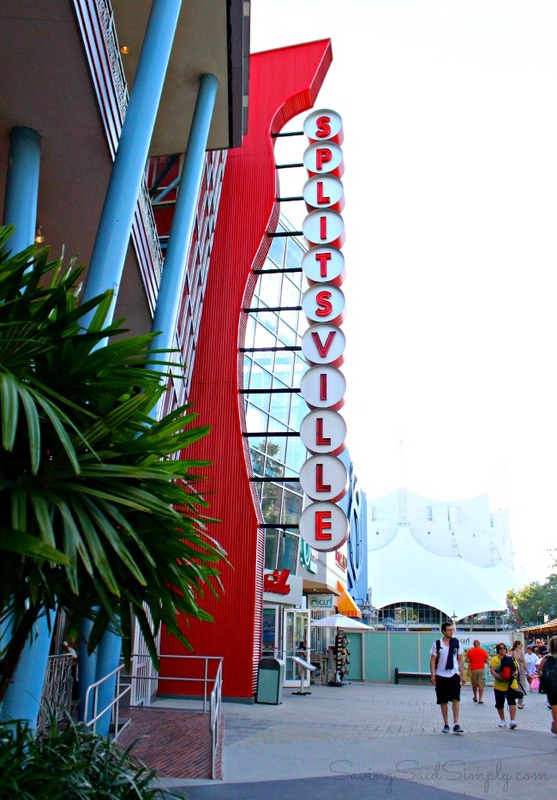 Splitsville Orlando has nestled itself nicely in the middle of all of the great atmosphere here at Downtown Disney. Check out the specials, including the Disney Cast Member promo at http://www.splitsvillelanes.com/ for great ways to save on your night out! Follow Splitsville at Downtown Disney via Facebook.com/SplitsvilleDowntownDisney and Twitter at @SplitsvillORL for the latest events, promotions and all the ways you can strike it lucky in Orlando! 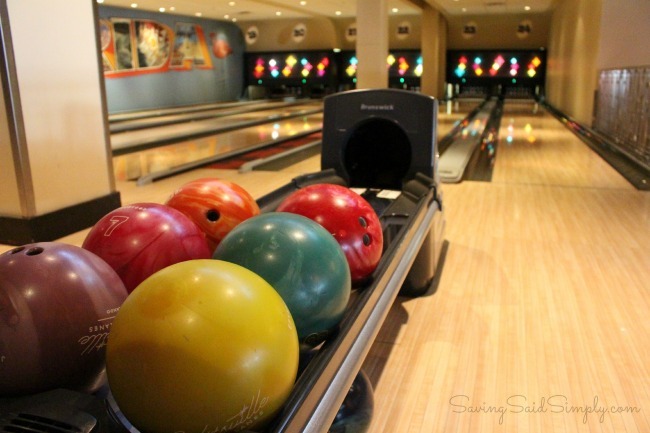 What is your favorite part about bowling at Splitsville Orlando? Thanks to the Central Florida Lady Bloggers and the amazing sponsors (Peterbrooke Chocolatier, Barnie’s CoffeeKitchen, Onli, House of Blues, Sea Dog Brew Pub, AmericanQ, Flippers Pizzeria, and Yelp) for organizing this fun event! I received free bowling and a fabulous atmosphere in exchange for this posting. Be sure to follow Saving Said Simply via Facebook, Twitter, Google, Instagram, Pinterest and YouTube for more Orlando happenings, Disney updates and more. wow, I haven’t been bowling in ages, but I would definitely want to try Splitsville! It looks like a barrel of fun and has the Disney magical sparkle dust!! !